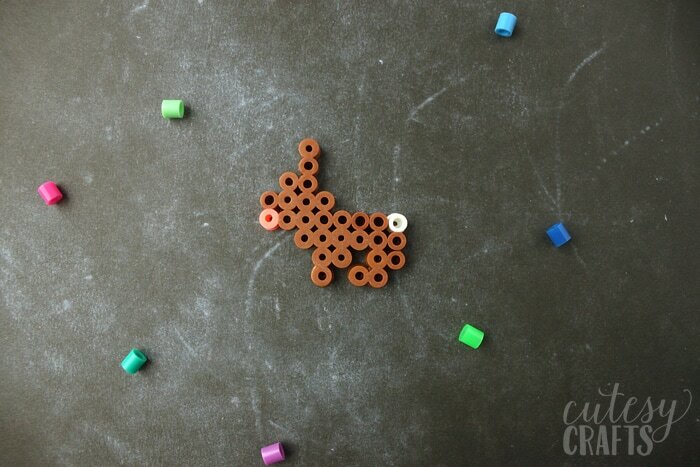 My kids are forever obsessed with perler beads, and who can blame them? They are so fun! My youngest two have pretty short attention spans and have a hard time finishing a project. I thought I’d create some really small perler bead patterns that will be easier for them follow. 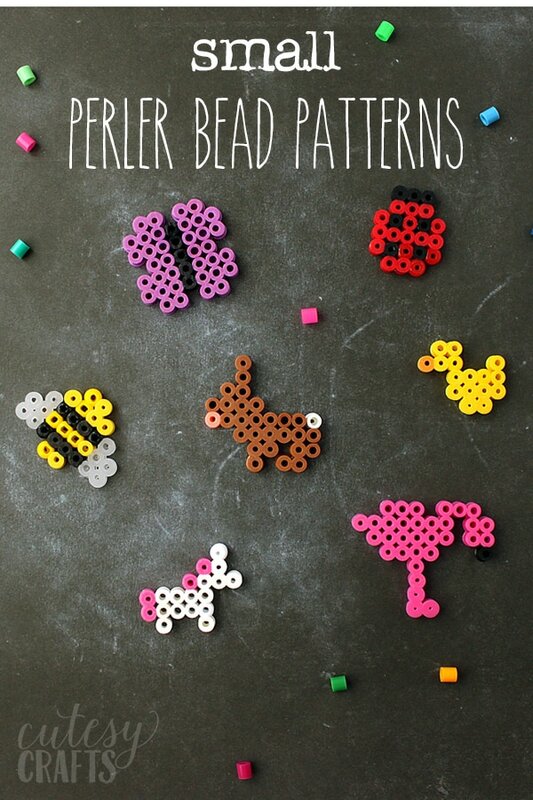 I’m sharing the patterns with you today, so your little ones can get in on the perler bead fun too. 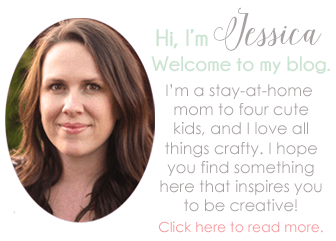 perler bead tray – You’ll need a square like this one. 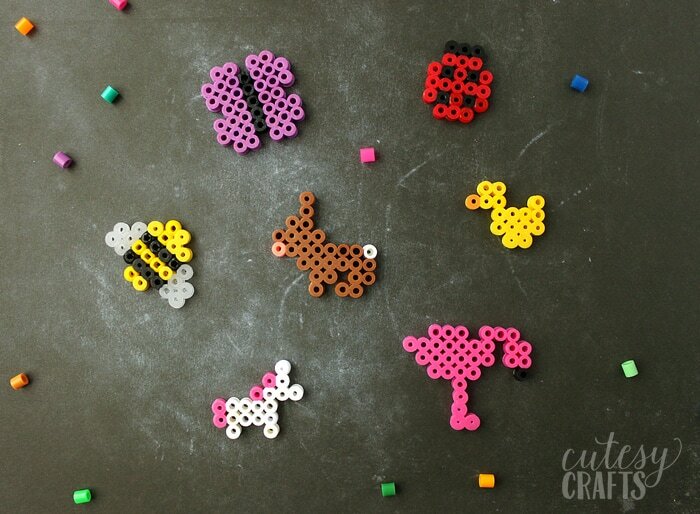 There’s a perler bead butterfly, ladybug, and bumblebee. This one looks like a bunny right? My kid requested a tiny bunny that looks like one of their rabbits, Cocoa. I kinda want to glue a white pom pom on for the tail. Wouldn’t that be cute?! I might need to have the kids make a bunch of these as an Easter craft. 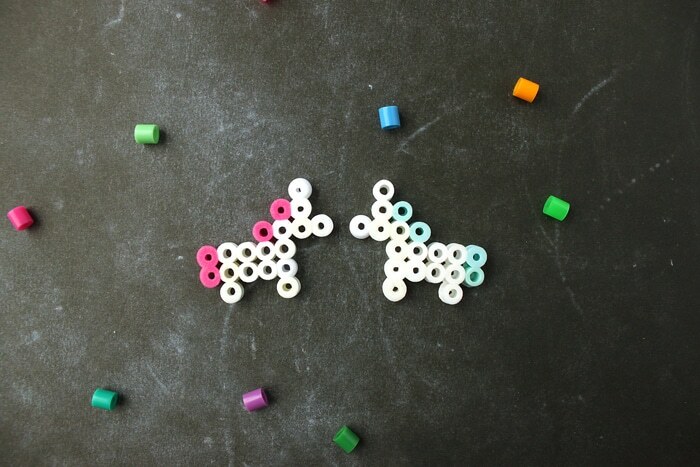 My favorite of all has to be the mini unicorn perler bead patterns. Aren’t they adorable?! My daughter said they remind her of the movie Tangled, when one of the strong men in the bar sings about collecting tiny ceramic unicorns. Haha! I also made a tiny duck and flamingo. The perler bead flamingo is a new favorite as well. Download the free small perler bead patterns! 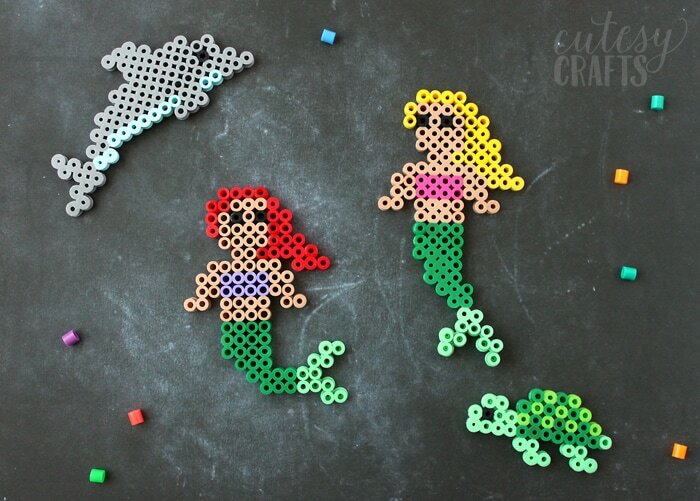 Also check out these easy mermaid perler bead patterns!